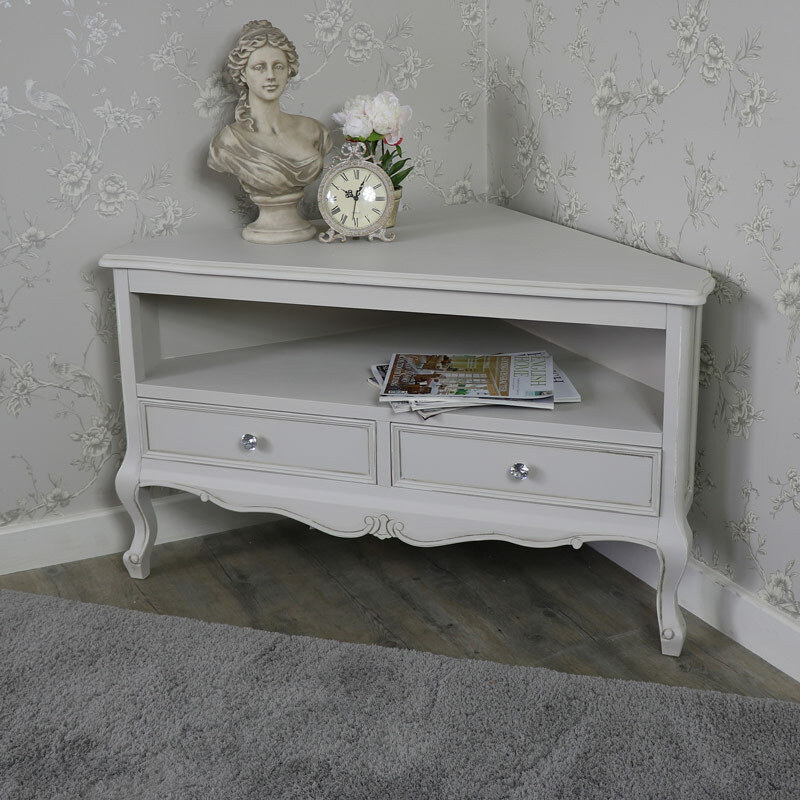 An elegant Vintage corner TV unit with a stylish French style look. Fully assembled grey Television cabinet with space for media consoles in a corner design. 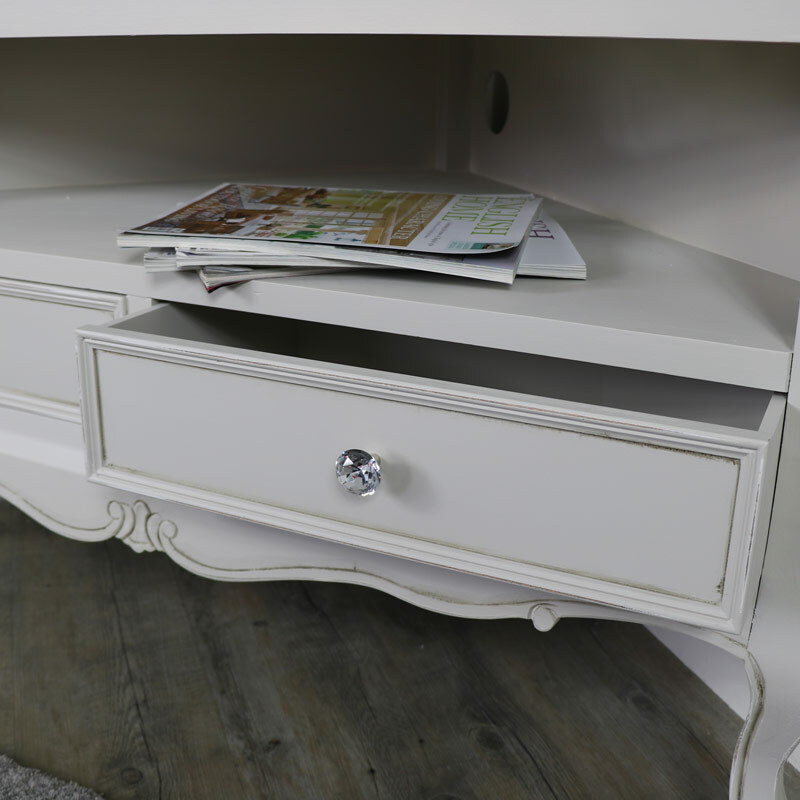 Perfect for a French style interior living room. 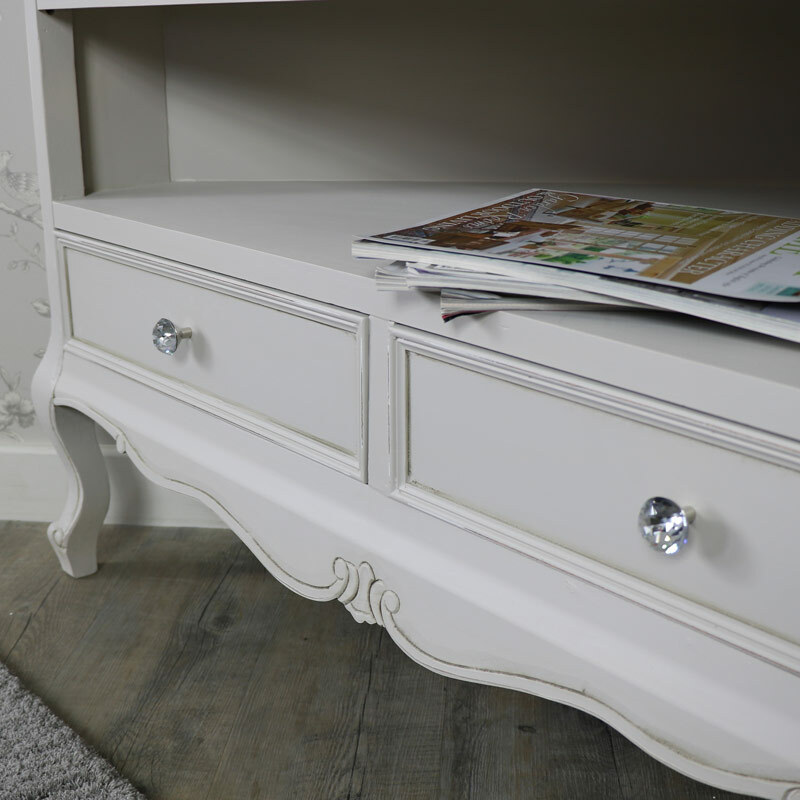 With a taupe grey painted finish, with gorgeous delicate round crystal drawer handles to two underneath drawers. 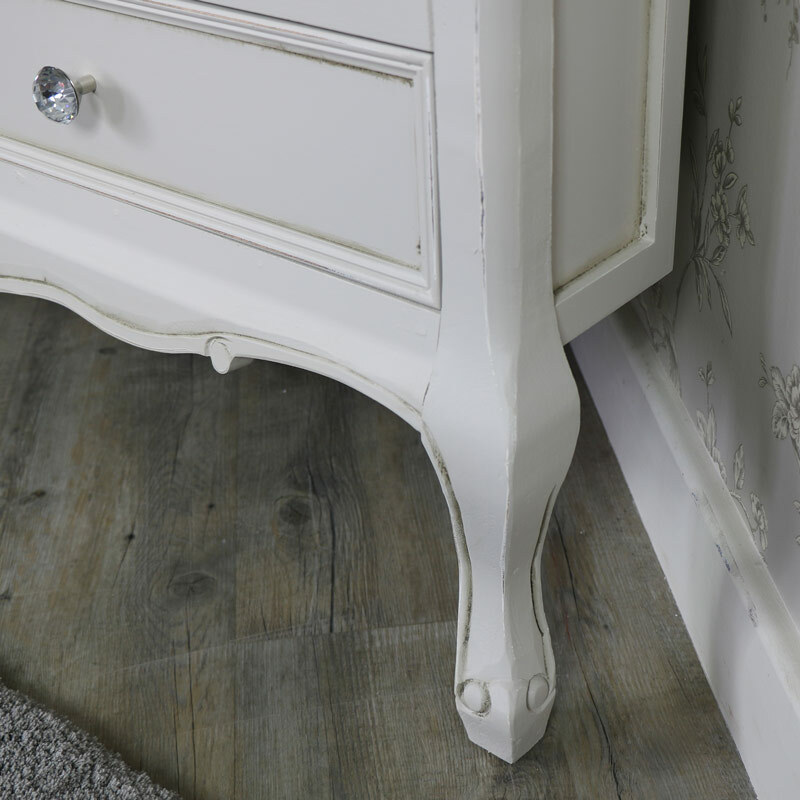 Combined with French carved body and elegant looking legs. 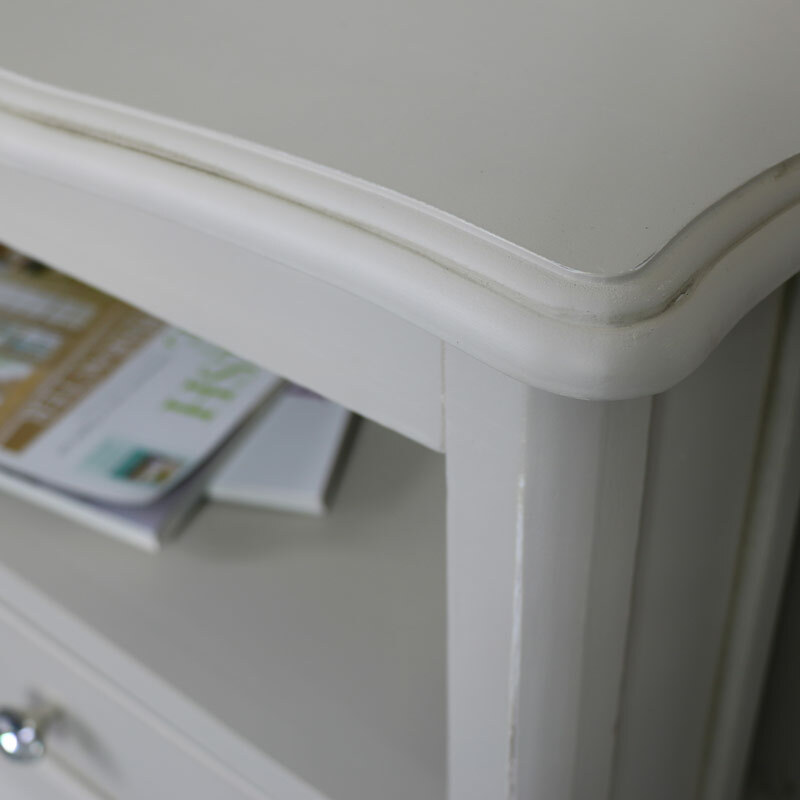 Vintage style furniture at its finest. Many matching Elise grey products.